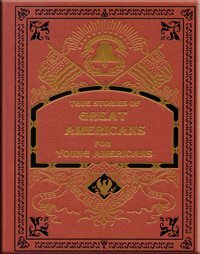 True Stories of Great Americans is part of Rare Collector Set 4. This volume portrays true accounts of young boys who overcame great obstacles to become admirable men. Born to poverty, slavery, blindness, and various trials—when others saw only difficulties, these boys saw possibilities. These role models will truly challenge and inspire you! Enjoy real-life stories of American scientist Booker T. Washington, Scottish-American businessman Andrew Carnegie, English Bible scholar John Kitto, English artist Josiah Wedgewood, Welsh-born professor Henry Jones, American naturalist John Muir, English sculptor Francis Chantray and more!